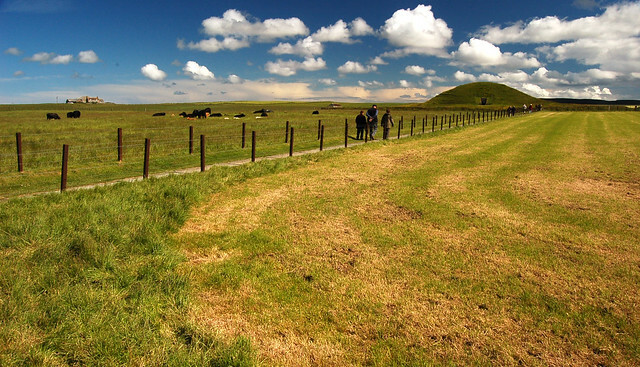 Looking like a big bump in a field, the Maeshowe Chambered Cairn is a 4700 years old stone tomb. 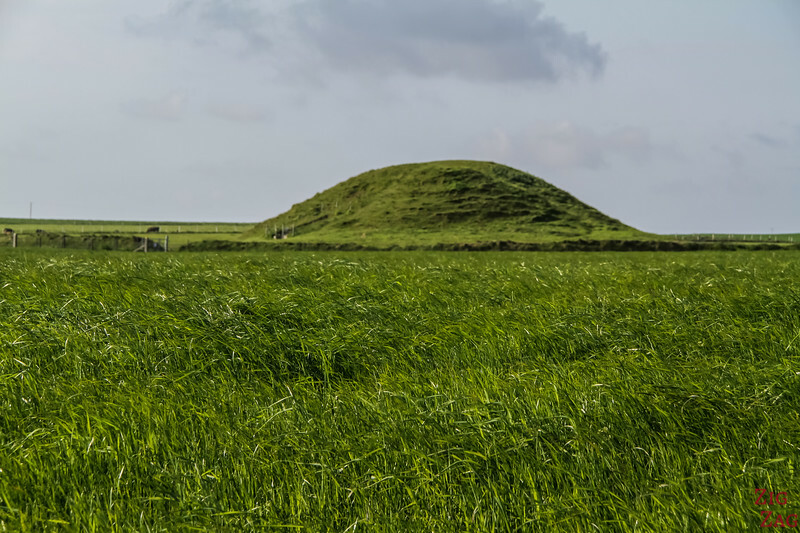 It is considered one of Europe's finest Neolithic Buildings. Access is limited and pre-booking is required. Learn more below. 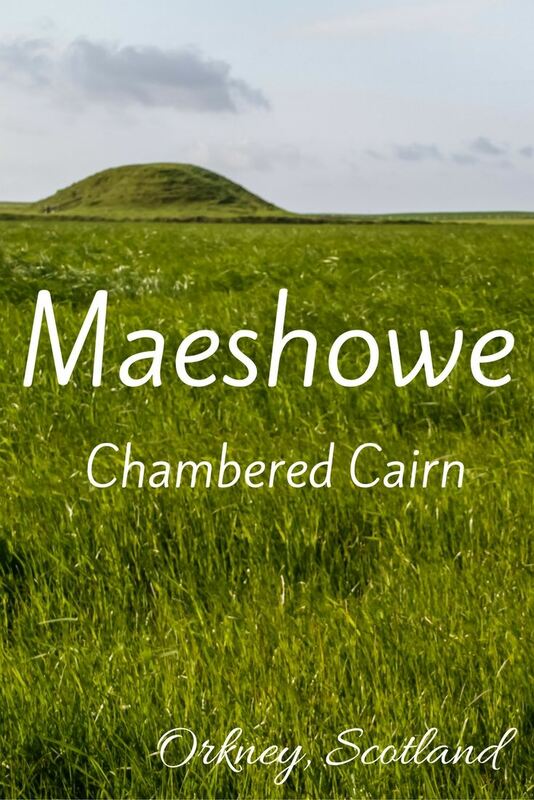 ​This Maeshowe Chambered Cairn is a chambered stone tomb. It was built 4700 years ago so that the midwinter sun shines along its entrance passage. 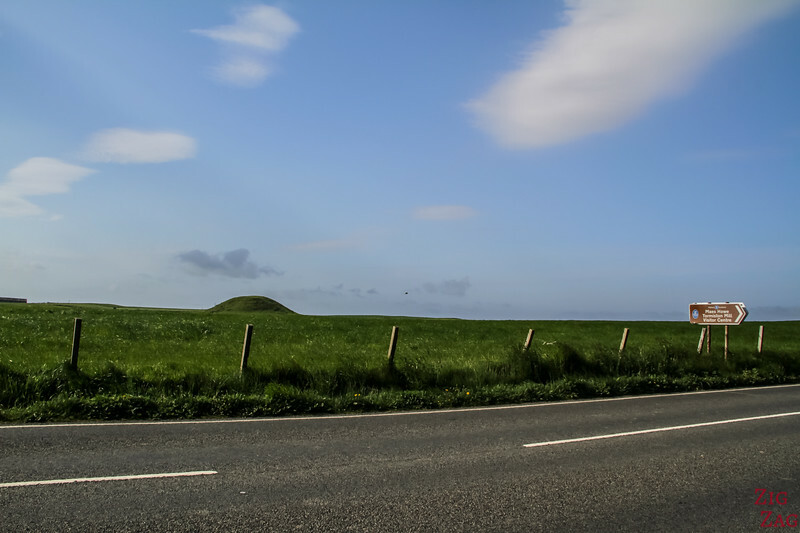 The Maeshowe Chambered Cairn is part of the Unesco Heritage site the 'Neolithic Heart of Orkney' with the Ring of Brodgar, Skara Brae and The Standing Stones of Stenness. For your visit Park at the Tormiston Mill. From the Parking you can see the mound in the field accross the road. This watermill was probably built in the 1880s. Inside is a small museum. From the outside, you can guess a structure is under it but it does not look like much. However imagine that this has been built almost 5000 years ago, which means before the pyramids. The Central chamber is 4.7m in diameter, the passage is 10m long. And there are huge standing stones at each corner. 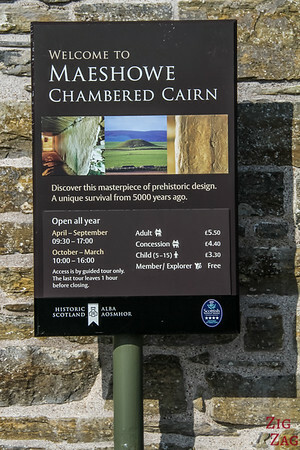 It is estimated that the Maeshowe Chambered Cairn was used as a burial tomb for several hundred years before being closed. Therefore this site is also the largest collection of runes outside Scandinavia​. There was so much to see that I have not been able to visit the site. I had to choose and a organized tour would have limited my movements around the islands. Anyway I woudl not have been able to share pictures as photos are not allowed inside. 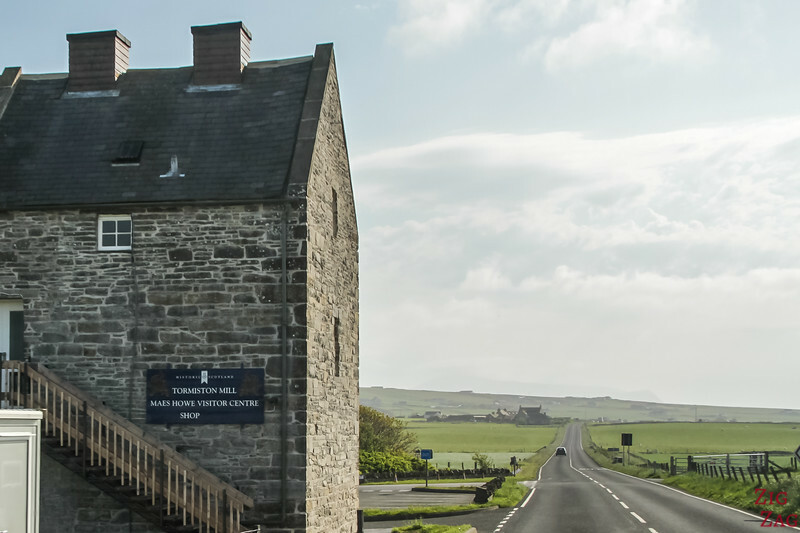 To help you decide if you want to visit, below are a couple of photos from other photographers and a film about the site.